She was born into privilege and could easily have chosen the easy life. But Anuradha Ghandy chose guns over roses to fight for the dispossessed. On a muggy April evening in 2008, somewhere in Mumbai, a doctor was trying desperately to get in touch with his patient. The patient happened to be a woman in her early 50s, who had come that morning with high fever. The doctor had advised a few blood tests, and, as he saw the reports, he started making frantic calls to the phone number the patient had scribbled in her nearly illegible handwriting. The number, he soon realised, did not exist. He was restless. The reports indicated the presence of two deadly strains of malaria in the woman’s bloodstream—she had to be admitted to a hospital without delay. Time was racing by and there was no trace of her. By the time the woman contacted the doctor again, a few days had passed. The doctor wanted her placed under intensive care immediately. But it was too late. [The Indian state’s war on tribal people (adivasis) and their Maoist champions is guided by the historic colonizer’s strategy book. When they order troops from colonized nations within India to fight people rising against Indian State terror, it is useful to remember …. this has been done, many times, before. When hostages identify with their captors, it is called the “Stockholm Syndrome.” As Malcolm X pointed out, when “House Negroes” see the Master’s house is on fire, they run for water to extinguish the flames, while “Field Negroes” get gasoline so the fire will burn more intense. In this sense, as Steve Biko said, “The most potent weapon of the oppressor is the mind of the oppressed.” These “mental” weapons for the oppressors become material, when the oppressed take up arms for the oppressor. The rejection of such colonized deployments is a critical part of every liberation and revolution. When the French colonizers fought the British colonizers in North America, they manipulated indigenous people (“Indians”) to do their fighting for them. When, after the US Civil War, the Northern victors set out to conquer the native “Indians” in lands to the West, they deployed Black soldiers (“Buffalo Soldiers”) to carry through the colonization fight. When Europeans were facing uprisings across colonized Africa, they most commonly sent their native colonial troops to suppress the anti-colonial challengers. Major General R. K. Sharma, Additional Director General, NCC Directorate North Eastern Region Shillong on his visit to Ist Nagaland Girls Battalion, NCC Kohima on April 9. The ADG highlighted the NCC activities and various opportunities and incentives offered by NCC. He appreciated the state government for its support towards NCC activity in Nagaland. Patkai College has been selected by UGC to take up National Cadet Corps (NCC) as elective subject in the curriculum from the academic year 2013-14. 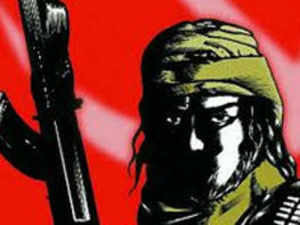 The Manipur based underground group Maoist Communist Party Manipur (MCPM) has asked Naga Regiments not to allow themselves to be deployed in the Maoist stronghold areas of India, especially in Dandakaranya Revolutionary zone. Publicity and propaganda secretary Comrade Nonglen Meitei of the outfit, in a statement dispatched to the local media, appealed to the Naga Regiment to oppose the implementation of this decision regarding their deployment. Children of officers killed on duty are given jobs to provide for families, but their studies take a backseat. 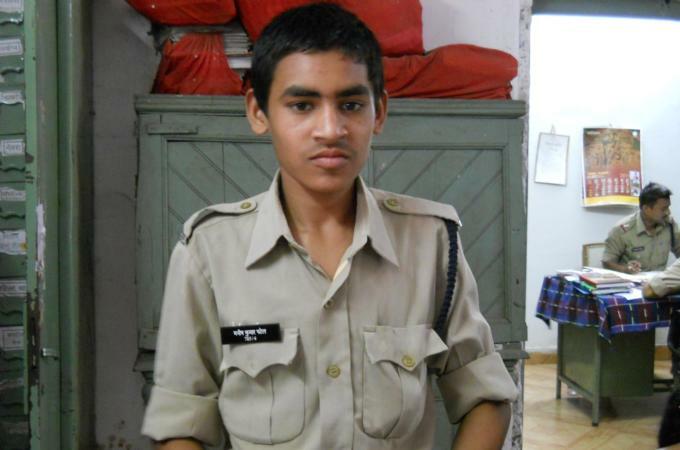 Raipur, India – Children as young as five are being required to work for the police force in central India despite prohibitions on child labour in the country’s constitution. CPI (Maoist) Dandakaranya special zonal committee secretary Ramanna speaks on the party’s stand on the Chhattisgarh assembly elections. CPI (Maoist) Dandakaranya special zonal committee secretary Ramanna speaks on the party’s stand on the Chhattisgarh assembly elections and justifies the May 25 attack on Congress leaders that killed Mahendra Karma and V C Shukla among others. Q: Why have you appealed for election boycott? A: As usual, we have appealed to people to boycott the elections because they are a farce. Elections only renew five-year tenures of loot and torture by the elected representative in the present system. Our target is to change this system from the root and establish a people-centric society and that is not possible through elections. 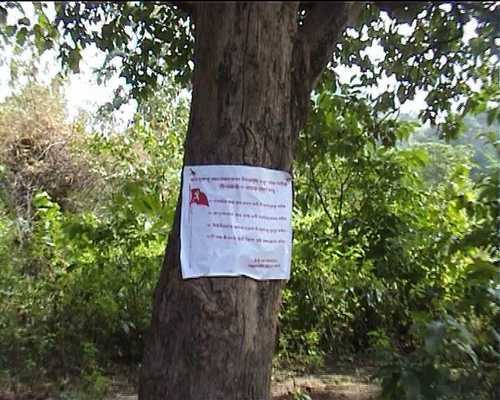 Gadchiroli: Maoists on Friday put up banners in remote parts of this district justifying the attack on the convoy of Congress leaders in Chhattisgarh’s Bastar area on May 25, in which 29 people were killed, as an act of punishment for “supporters of Salwa Judum”. “How can punishing the supporters of Salwa Judum be an attack on the democratic values,” the ultras asked in the banners put up by Gadchiroli Divisional Committee of CPI (Maoists), at different places in Regdi, Kasansur, Ghot and other areas of the district. “The death of Mahendra Karma and other Congress leaders is a punishment given by the people. It is a natural justice,” the banner further said. Karma, who was the founder of Salwa Judum, the erstwhile anti-Naxalite movement, was killed in the brutal attack in Jiram valley of Darbha region in Bastar. Former union minister VC Shukla, state Congress chief Nandkumar Patel, his son Dinesh and former legislator Uday Mudaliyar were also killed in the incident. Maoists today torched two road construction machines and took away a tractor in the insurgency-hit Kanker district of Chhattisgarh.”Maoists torched a bulldozer and a JCB machine of the forest department, apart from taking away a tractor, engaged in road construction work in Mendra village,” Pakhanjore Sub-Divisional Officer of Police Anil Kumar Soni told PTI. Maoists are observing Jan Pituri Week from June 5 to June 11 to commemorate their `martyrs’. Vehicular traffic was thin at many places in south Bastar’s remote areas. People faced difficulty in reaching their destinations. As the Railways have decided not to run the passenger train from Visakhapatnam to Kirandul beyond Jagdalpur fearing Naxal attacks during the week, passengers were forced to travel by bus from Jagdalpur to Kirandul. Police said patrolling by paramilitary forces had been intensified in the Naxal-infested areas. However, this time Maoists neither announced any relief for public transport system nor gave any call for bandh during the Jan Pituri week, contrary to their past practice. Meanwhile, a Naxal was arrested from Mardapal police station area of Kodagaon district, police said. “Guddu Muriya, 25-year-old member of Usri Jan-militia, was arrested in Mulnar village on Sunday late night,” Additional Superintendent of Police Surjeet Atri said.